CANBERRA, Australia — According to the Australian government’s 2017 Aboriginal and Torres Strait Islander Health Performance Framework, the mental health crisis among Indigenous Australians has led to higher levels of morbidity and mortality in representatives of this population than in non-Indigenous Australians. Factors like inequality, discrimination and racism cause poor physical and mental health, self-harm and suicide in Aboriginals and Torres Strait Islanders. While Indigenous populations battle ongoing, widespread discrimination, they also fight to maintain their strong sense of community and preserve their cultural and artistic traditions. This conflict has lead to acculturative stress. Historical government policies like the forced removal of Aboriginal and Torres Strait Islander children from their families (so-called stolen generations) have reverberated across the ages. Intergenerational dispossession, loss, trauma and grief continue to contribute to poor Indigenous health, while socioeconomic disadvantage and deficiencies in resources trigger other issues. Most important ones are low educational attainment, poor literacy levels, limited employment opportunities, incarceration and related consequences aggravating negative health. Government policies have made Aboriginals and Torres Strait Islanders hesitant of seeking support from societal establishments due to the fear of repercussions. Historically, Australia’s Indigenous population has been institutionalized or incarcerated upon seeking help. Establishments also have involved child protection authorities or removed Indigenous people from their land and communities. More than 30 percent of Aboriginal people suffer from psychological distress compared with 20 percent of other Australians. Over 12 percent of Aboriginals 45 years of age and older have dementia, while only 2.6percent of non-Aboriginals suffer from the same condition. Aboriginals living in remote areas of Australia are 10 times more likely to develop dementia than people living in Africa, India or Indonesia. A 2014 report found substantially increased rates of youth suicide, anxiety and depression among Aboriginal communities. The same report also stated that cognitive disability and the mental health of Aboriginal offenders, as well as perinatal mental health, increased dramatically. In a 2018 report by the Australasian College for Emergency Medicine Department of Policy, Research and Advocacy, it was documented that Aboriginals and Torres Strait Islanders have poorer health than other Australians because of social, behavioral and health system factors. The report illustrated how emergency rooms experience the effects of the mental health crisis among Indigenous Australians first hand. It was determined in the report that Indigenous populations experienced higher levels of all reported physical and mental illnesses such as psychiatric illness, alcohol or drug abuse, alcohol or drug-induced mental disorder and endocrine/nutritional/metabolic system illness. 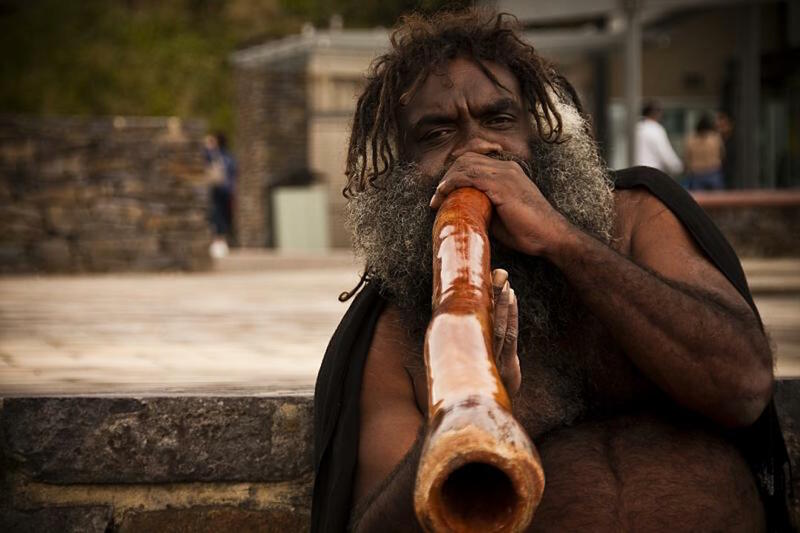 The Indigenous Australians’ Health Programme (IAHP), a division of the Australian government’s Department of Health, has committed $85 million to the funding of Aboriginal and Torres Strait Islander mental health services for the 2016-2019 period. IAHP aims to close the gap between Aboriginals and Torres Strait Islanders and non-Indigenous Australians in the health, education and employment sectors. The objective is to provide Indigenous populations with access to comprehensive and culturally appropriate primary health care services across Australia to eliminate geographic disparities via effective and innovative regional planning. The program aligns with Primary Health Networks (PHNs) to work with existing drug and alcohol services, suicide prevention, social and emotional well-being services. PHNs are expected to address the mental health crisis among Indigenous Australians by working to achieve immediate and long-term goals. To satisfy immediate aims, PHNs collaborate with Indigenous communities and mainstream primary health care organizations to identify the mental health needs of Aboriginal and Torres Strait Islander peoples. For long-term objectives, PHNs establishes relationships between authorized and existing services to develop a coordinated approach to providing mental health services. PHNs support providers as a means to implement appropriate services that holistically treat patients and their families. PHNs also ensure referral pathways for patients to transition between services to accommodate their changing needs. Initiatives from Australian nonprofit organizations and state-specific governments are tackling head-on the inequities that have led Australia’s Indigenous population to a mental health crisis. Reconciliation Australia is a nonprofit organization uniting the Aboriginal and Torres Strait Islander peoples with the non-Indigenous community. The organization promotes positive connections through shared experiences, expectations and knowledge as well as through education about Indigenous histories, cultures, identities and successes. Organization’s Reconciliation Action Plan (RAP) is a framework that builds relationships, teaches respect and creates opportunities to promote social and economic change for Aboriginals and Torres Strait Islanders. Various organizations have implemented Aboriginal and Torres Strait Islander employment policies and programs. Reconciliation Australia has followed suit by structuring their Workplace Ready Program toolkit on these experiences. The toolkit’s content is geared to managerial staff to help them employ and retain Aboriginals and Torres Strait Islanders. Cultural awareness and the understanding of how personal conduct impacts others is vital to ensuring Indigenous Australians are safe from discrimination and harm in the workplace. The Victorian Public Sector Commission has provided employers with information on cultural competency training to create a sound, professional environment. Despite the fact that actions are underway to combat the mental health crisis among Indigenous Australians, discrimination, marginalization and disempowerment that negatively impacts their physical, social and emotional well-being still exists. If the Australian government wants to solidify its fight against historical injustice, then Aboriginals and Torres Strait Islanders must be constitutionally recognized.